Recently, I came to think that the Chiiki no Chanoma is a place somewhat like a community center as it is a place to gather everyone from children to the elderly, while being a place also where people who work for the public interest are nurtured. 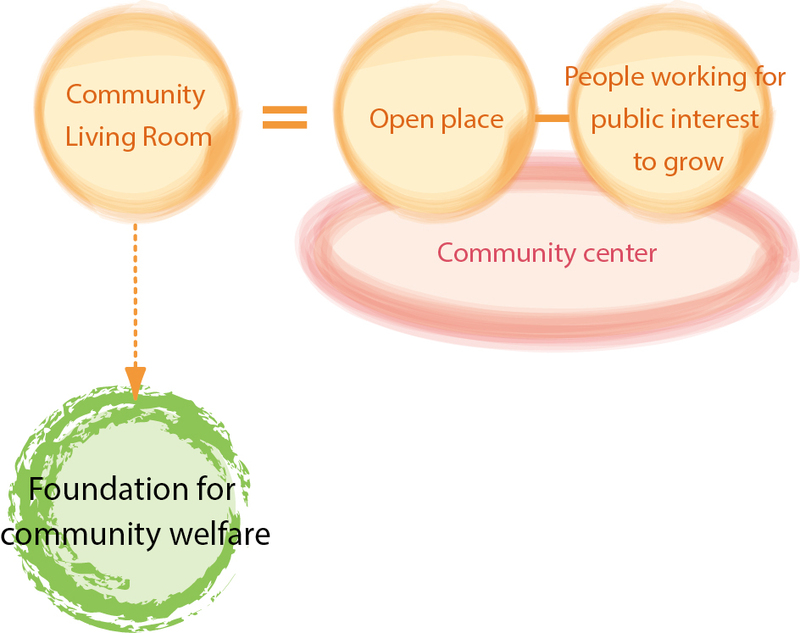 I expect this to grow to become a foundation for community welfare that connects people to one another and develops social capital in the community. It is therefore quite exciting to imagine what kind of people will emerge and how Living Rooms will develop under the Living Room School that will open from June 2016. Now, I cannot take my mind away from the Parents’ Home Living Room. The mutual aid tickets (Hands of Parents’ Home) issued by them are selling more than expected. Activities of mutual support are spreading to the Parents’ Home Living Room and also to the local community. 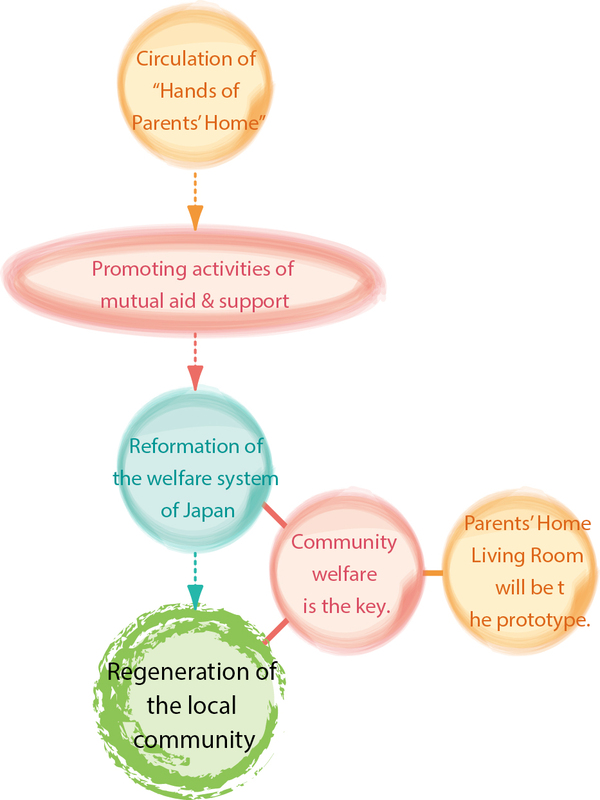 I think that from here the welfare system of Japan will change and that community welfare will be the key towards community regeneration. Therefore, I am keeping a close watch over the Parents’ Home Living Room as it will probably become a prototype for future development.